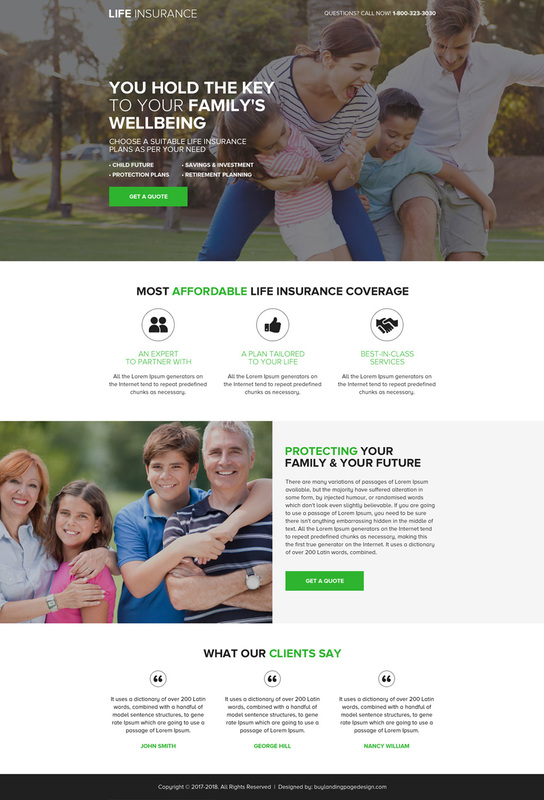 You need a landing page design to promote and capture quality leads for your life insurance business online. Your landing page can communicate your message directly to your visitors easily and quickly. You can now maximize the number of people completing your desired conversion goal with our professional life insurance landing page.